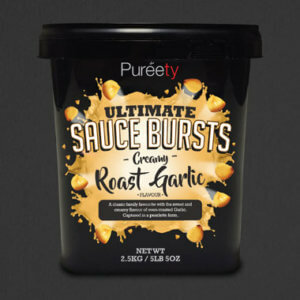 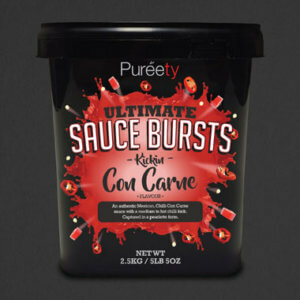 Available in 2.5kg tubs, our Ultimate Sauce Bursts are perlets of flavour that can be added to burgers, sausages, processed meats, savoury pastry fillings or wherever your creativity takes you. 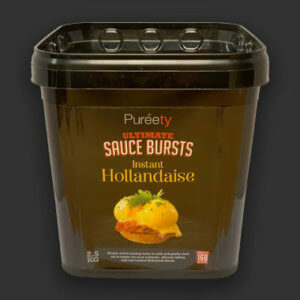 Once cooked they create little pockets of sauce that burst on the palate, hence the name ‘Sauce Bursts’. 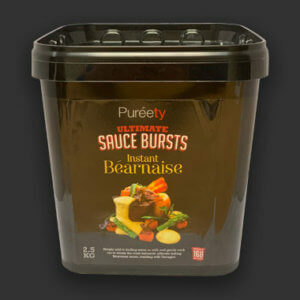 Our Sauce Bursts don’t just add awesome flavour but a real succulence too!